Cook up literacy skills! Each can holds 1 uppercase and 1 lowercase letter card, plus 5 object cards featuring real-life photos on one side, words on the reverse. Supports alphabet awareness and builds early oral language, sorting, and fine motor skills. 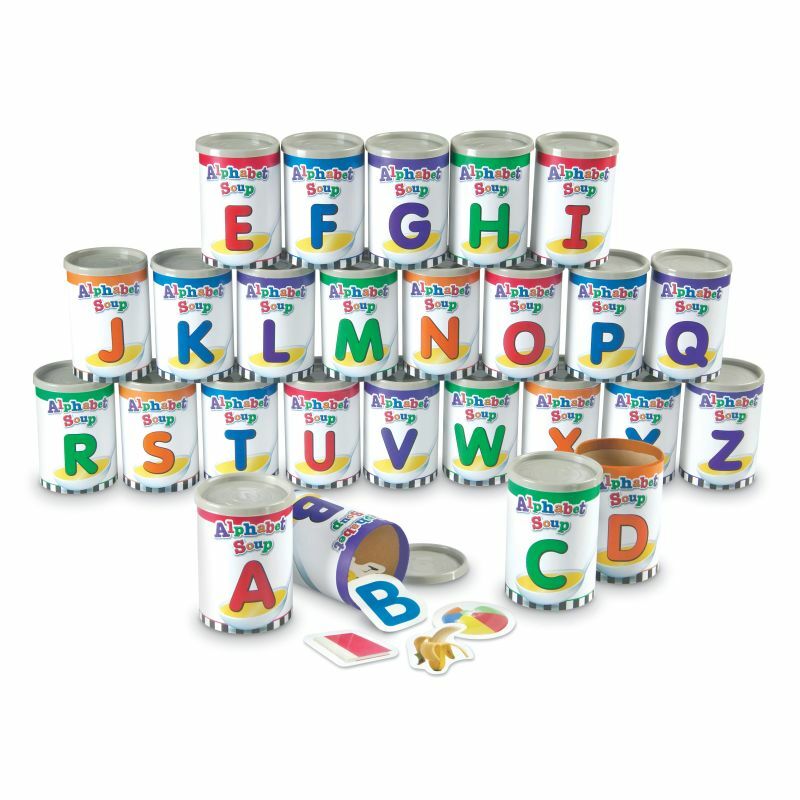 Includes 130 die-cut photo cards, 52 color-coded letter cards (red vowels, blue consonants), 26 durable cardboard cans with lids, and Activity Guide. Cans measure 4 1/4″H x 3″ in diameter.